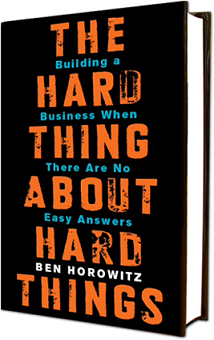 Home > What i am reading > The Hard Thing About Hard Thin.. Compelling and raw description of what it's like to run a start-up, ups AND downs. Lots of lessons learned. Highly recommended.